In the 52nd in a series of posts on 2016 books entered for The Story Prize, Louise Farmer Smith, author of Cadillac, Oklahoma (Upper Hand Press), traces her inclination for the short form. Writing short stories is what I do best. It is not just my preference; it feels like an inborn inclination. My first writing success was with a story called “Sugar House” about an aid in a juvenile detention center. In this story Lena, a big, husky woman, sings out in a raw voice as she rocks a young offender. This story came out of my experience interning in the children’s division of the New Hampshire State Hospital, and I had feared it was unpublishable, though to my great delight it was taken by Virginia Quarterly Review. What has produced this inclination for the short form? I offer an explanation that has two feeder systems. The first was my mother who had been trained as a child to give dramatic readings. After she was married, my father discouraged her from performing as an adult, so she poured the passion and drive of her impoverished childhood into being a mother. At bedtime she read aloud to my little sister Phoebe and me, and this may have tipped me toward a form of writing that can be fitted in between pajamas and goodnight kisses. 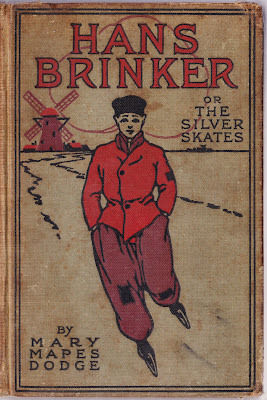 She read such books as Heidi and Hans Brinker and the Silver Skates. Drama. Suspense. Menace. Phoebe wept. And I wept, and so did Mother. She knew where to bring us to a pause in the story, however sad. Perhaps even more influential was my position as the oldest child. Once my little brother was born, I had a tiny herd for which I believed I was responsible. I also had the grandiose opinion that I was responsible for the happiness of the whole family, my parents’ marriage included. With a child’s hyper-radar, I always knew when there was trouble between my theater major mother and my engineer father, although I rarely understood the causes. This invisible tension steered me into fantasizing, making up stories to tell myself in the dark as I struggled to get to sleep. These stories, for instance, involved Mother’s thwarted dreams and Daddy’s practical issues with her projects. Lying in bed, age eight or nine, I would try different scenes, imagine peaceful, logical dialogue, and move fresh, helpful characters—my mother’s best friend for instance—onto the scene, all in the service of a happy ending. This rehearsing of a literary form, though devoid of conflict, was the beginning of my schooling myself in the short story. I couldn’t use a long form, I had to make up a story as fast as I could to relieve myself of the fear that the bedrock of our home, the marriage, was, shaking. After years of my placing short stories in literary journals, Upper Hand Press published One Hundred Years of Marriage which tells the stories of one family’s marriage choices over four generations. In each case, a child is the narrator, observing the marriage and wondering why the parents chose each other in the first place. One Hundred Years of Marriage was a novel-in-stories. And although my second book is a story collection, I want Cadillac, Oklahoma, to deliver the same satisfying experience and cohesive world as a novel. The book I’m working on now, The Woman Without a Voice, continues my focus on marriage in the form of memoir. I have used the published diaries of 19th century women who feared leaving home for the trek west as a background for telling my own family’s pioneering story and the tragedy of my great grandmother’s incarceration. I go over the memories of my grandfather who lived with us for ten years, as well as what I know of his father and sisters, plus the asylum records of his mother, as I work and rework the cruel alternatives they faced. Those people come into my imagination like actors onto a stage ready for the brief episodes I write from their few tattered documents and family lore. History or biography are long forms the surviving evidence does not support. This will be a short book about wives. Writing and issues of marriage continue to be intertwined in my work. I learned to love short stories as a teenager and later taught them in high schools and colleges. Whether I weave them into books or not, I will always treasure the story as the fastest way to satisfaction, but whatever they are, they are what I write. I have walked away from childhood with the story’s shortened form in my bones.